I made a little mantra to myself to be more positive, don't get me wrong I'm not one of these people sat warning off 'negativity' with incense around the house, I understand there are times when you are bound to feel down and negative, which is a perfectly normal, part and parcel of daily life - but I do believe positivity breeds positivity. I've followed the beautiful Emily's gratitude lists since she started over six months ago, even though they aren't relative to me as they're her thoughts and feelings, I cant' help but feel a little pick me-up when I read them myself. It's a fantastic idea and one that I want to try to do occasionally myself, starting today. It's easy to feel grateful for material things as it's physical, but more and more as parents I think we find happiness in the little things in life; - the toddler eating their meal without a tantrum, successfully avoiding a danger nap with the baby, a full nights sleep and a washing basket empty. 1. We've just had a lovely 8 days away together on our first family holiday abroad as a four!! 2. I'm work with a group of really supportive women which helps make me extremely happy and content with my job. 3. I was able to meet John on my lunch now we work closer, and spend an hour together child free. 4. I've arranged a trip up to Manchester to visit my Sister and brother in law, which includes a trip out to Chester Zoo too. 5. I received a £250 love2shop voucher for taking part in a twitter chat. I have absolutely no clue what to spend it on yet. 7. Having my second wage back from maternity leave, which is still leaving me feeling as if I've hit the big time. 8. Three very exciting opportunities for my blog this week. 9. Getting a lie in on my wake up day this weekend, both boys sneakily slept till 8:30. 10. John bringing me up a warm vimto as I lay in bed with a sore throat, it was exactly what I needed at that exact time. Ah, this is lovely! Such a great idea too. I do similar, thinking of one positive thing that has happened each day, it's a great help! 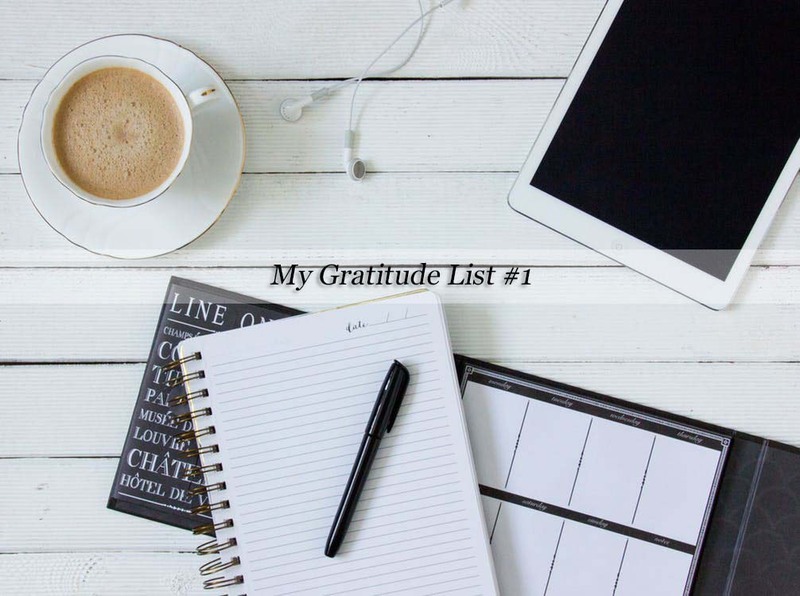 What a great idea to make a list of things you are grateful for. I do miss have a wage since giving up work, but (at the moment) I much prefer being at home with Isla to bring at work! Sounds like a great week and loads to be thankful for. Sometimes, we can easily forget to sit back and show gratitude, even for the smallest of things, and no time like starting like the present.